High quality bi-directional ground loop isolator for use in both car, professional and domestic audio systems to reduce potential difference between two grounded products in a system. If you use a laptop and suffer hum, buzz, or noise when using PCDJ, Virtual Turntable, or Gigaport System this device will remove the annoying humming noise. 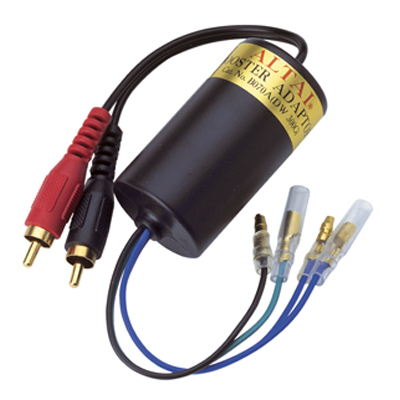 Maybe you have a powerful in car HiFi System that suffers annoying hum or clicks well try this. Each ground loop isolator unit comes with fixing points.